Lemon Balm aroma oil is a 100% Pure Diffuser Blend created with the highest quality of raw and natural ingredients. We combine our aroma oils with pure essential oils that are certified Non-GMO, Vegan, and contain no parabens, DPG, glycols, petrochemicals, phthalate, artificial additives, synthetic colors, or harmful chemicals. All of our diffuser oil blends and essential oils are created to be 100% safe for your home, family, and pets. 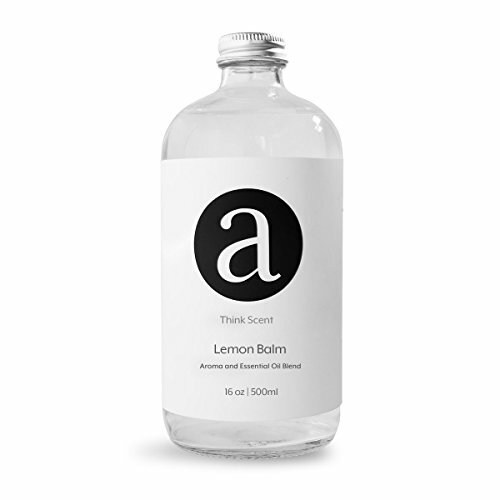 Lemon Balm aroma oil is designed to be conveniently used in any cold-air or ultrasonic oil diffuser to create your ideal ambience. If you have any questions about this product by AROMATECH, contact us by completing and submitting the form below. If you are looking for a specif part number, please include it with your message. (Holiday Spice) Aroma / Fragrance Oil For AromaTech Air Freshener Scent Diffuser (500ml).